Search for answers to your questions by entering keywords below. Please use this guide if you want to import share issuances and share transfers. Each row in the spreadsheet represents a transaction. The transaction must include a buyer and a seller. The seller is typically the company. However, In some cases, the seller might be another shareholder. We call these transactions 'transfers'. If you do not have any transfers, please read this article instead. The columns you will prepare in the spreadsheet represent values, the system will need in order to import the transactions successfully. You can add as many transactions as you like. Please follow below the instructions carefully. If you need any help, please don't hesitate to reach out at support@capdesk.com. We are happy to help you prepare the file or prepare it for you. In order to link an investor to a share class. You will need to create the share class first. Here is a guide on how to make a share class. Below you can see a few share classes created (Ordinary, Ordinary A, etc.) These will be used in the CSV upload. Create a spreadsheet using Excel, numbers or any other program. The first name of the investor. Ignore if the investor is a company. The last name of the investor. Ignore if the investor is a company. The email name of the investor. Make sure that the mail is correct as this becomes the id on Capdesk. Only fill out this field, if the investor is a company. Fill in the registration number of the company. Make sure it is the correct registration number as this becomes the companies unique ID on Capdesk. Only fill out this field, if the investor is a company. The legal name of the company investor. The address of the investor. This can be left blank if you do not know the address. 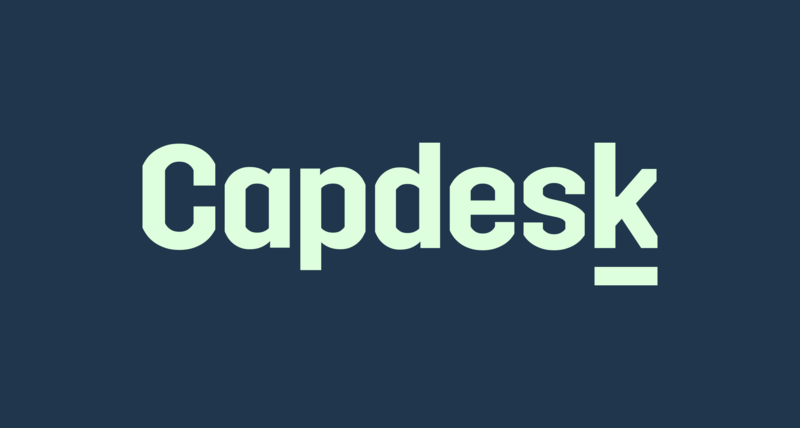 When the investor signs up to Capdesk, they can update / add their address. The city of the investor. This can be left blank if you do not know the city. When the investor signs up to Capdesk, they can update / add the city. The postcode of the investor. This can be left blank if you do not know the city. When the investor signs up to Capdesk, they can update / add the postcode. The country of the investor. This is required and cannot be left blank. Please also use the country ISO code (2 letters). Choose the category of the investor. You can choose the following categories: "founder", "angel", "vc", "crowd_investor", "lender", "investor", "employee", "partner","board_member", "chairman". Here you can specify an email for a seller of shares other than the company. Note: It is very important you use the same email for the seller as used earlier. Leave the column blank if the transaction is a regular share issuance from the company! If the seller of shares is a company investor, you need to fill in the companies registration number. It is very important you use the same registration number as earlier. If the seller is not a company then leave blank. Here you specify the country of the seller. Please state the country ISO code (2 letters). price - The price per share. Please use a positive number. The quantity of shares bought. Please don't use decimals or negative numbers. Insert the share class the investor has purchased. Make sure you have already created the share class. See step 1 (above). You can group your investment into funding rounds. Just write a name of a funding round and a funding round will be created and linked to the investment. Keep in mind that a default funding round 'Founding Round' is already added by default, so use this tag for the first issuance of shares. If the transaction is a share transfer then leave the column blank. When you have finished the spreadsheet. Save the file as a .CSV. You do this by clicking save as in your editor. Note: Make sure to clear formatting and contents of all cellls not in use! Navigate to "Cap Table" -> green "Shares" button -> "Import Shareholders" and select the file you want to upload. The system will now begin to process the file. This might take a while depending on how long your list is. ii. When you open the file, you will find a lot of new columns (all available columns) - don't be confused. Locate the new column called 'is_valid'. Here you will see the text TRUE or FALSE. True means the row is correct. False means the row contains an error. Next to the Error column, you will find a column called messages. This will give you an explanation of what is wrong in the row. In the example below an unknown share class has been created due to a spelling mistake 'Ashares'. As we have not created the share class Ashares in the system, we get an error. iii. Correct the mistake in the original CSV file (NOT THE DOWNLOADED ERROR MESSAGE FILE) and upload again. iiii. Continue this process until the system approves. b. (Success) Data successfully imported. This message means you have succesfully uploaded your file! The system has now created all your transactions as a draft, which means they are not published and none of your investors has been notified. Click the button 'Share Transactions' to see a bit of all the draft transactions the system has created. Keep in mind these are not published and can always be deleted without any consequences. Click on "Cap Table" to view all draft transactions on the investor's list. This is a nice way to see whether or not the percentages and shares match your estimates. Clicking this button will delete all your draft transactions. This will have no consequences. You can always import the transactions again. By clicking this button you will publish all transactions and an invitation email will be sent to all the investors! Be careful with this as it can take a while to 'revoke' all the transactions afterwards. After publishing the draft transactions, you will see all the transactions published on the transaction page. 9. Things to keep in mind! a. The balance of the purchase will not be negative for the seller. c. The correct share class has been added.